UK new car sales hit 2m mark | New York Journal | We Got You Covered! 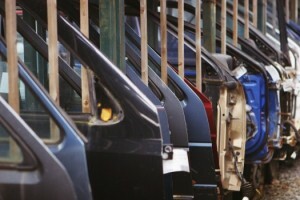 Britons have bought more than 2m new cars so far this year, following an unexpectedly sharp jump in sales in October. A total of 2.14m new cars have been registered in 2014 so far, the first time the two million mark has been passed in the month of October since 2007, before the financial crisis took hold. It followed unwavering demand for new cars last month as consumers took advantage of cheap financing deals. Sales were 14.2% higher in October than a year earlier, at 179,714 vehicles, extending the longest-ever run of growth to 32 consecutive months, according to the Society of Motor Manufacturers and Traders (SMMT).